PETALING JAYA: A political communications expert says the Pakatan Harapan (PH) Cabinet is beginning to get the hang of functioning as a government instead of the opposition, but needs to step up its game in delegating responsibilities to ministry secretaries-general or directors instead of being directly involved in all matters. Syed Arabi Idid, who advised political parties on campaign strategies during previous general elections, said improvements could be seen in the way the PH ministers had handled their roles and responsibilities since the coalition took federal power seven months ago. “When they came in, some of them were still surprised over their appointments as ministers, or at being voted in as the government,” he told FMT. He attributed some of the changes to calls from the people for the ministers to do their jobs instead of blaming the previous administration for corruption, poor policies and the weak economy. Likewise, he said the shift away from the “opposition mentality” was due to criticism from the ground, citing the people’s response to ministers making announcements or statements seemingly without advice or consultation. 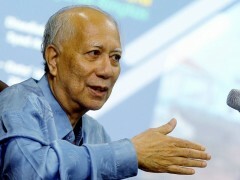 The main problem now, he said, was the division of responsibilities within ministries. He called for greater discretion by federal ministers in knowing when to take the lead and when to allow their subordinates to handle the matter. Ministers should focus on policy matters, he said, while the “nitty-gritty” of announcements and implementation should be done by ministry directors and secretaries-general. Syed Arabi gave the example of the no-smoking campaign at restaurants and public places following Putrajaya’s move to ban smoking at all eateries beginning this year. He said the minister had done a good job in carrying out the campaign, but that officers should now be handling its enforcement. He criticised ministers who get “too involved” in every level after policies are made, such as by calling for press conferences to make “minor” announcements on details like dates and the setting up of committees which he said could easily be handled by officers. “There is still so much for the ministers to do in their ministries without being caught up in announcements at every level,” he said.